DataSunrise Performance Monitoring solution enables to monitor MongoDB performance and detect operation errors. DataSunrise allows database administrators spot problems in time. It is an essential tool for DB developers to use for application debugging and development, performance assessment, tracking down weak spots, causes of operation delay, etc. Along with its main features DataSunrise offers an efficient tool to solve problems which appear out of system malfunctions and software errors. Monitoring database performance enables to identify bottlenecks during MongoDB operation, develop and debug applications, assess operating delays, etc. Evaluate data volume that has been transmitted and received by a server, etc. The information logged by DataSunrise may be adapted to suit the needs of a particular organization. The gathered information is used to locate and analyze performance problems of MongoDB databases, effectively identify what causes problems and delays, solve problems and prevent their reoccurrence. The information gathered by DataSunrise is comprehensive and could be efficiently used to confront performance issues and find effective ways to solve them. 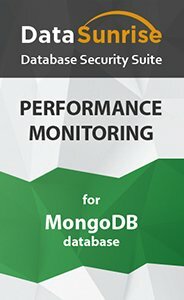 DataSunrise facilitates MongoDB performance analysis required to identify related problems and remove barriers to normal operation of the database.